The city that can be explored for a lifetime and still have secrets to be discovered, Rome is magnificent. 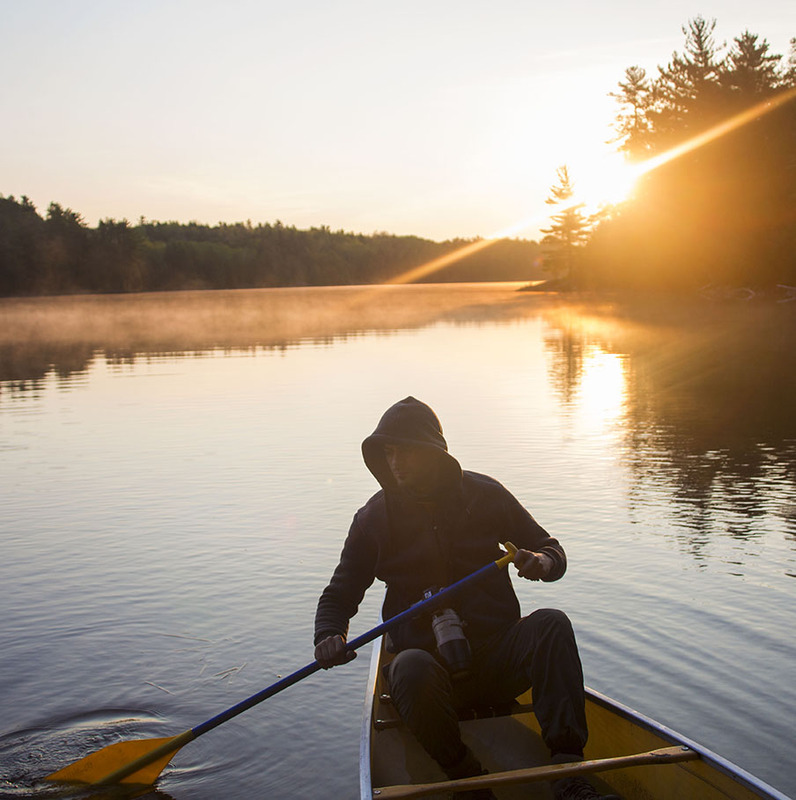 We set out to see and explore as much as possible at the expense of rest and sleep. 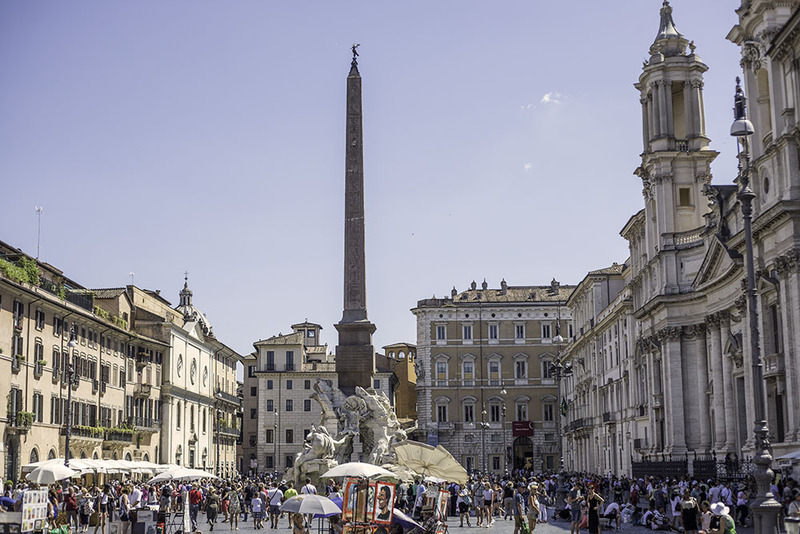 Upon arriving to Fiumicino Airport, you have few options to get to the center of Rome. 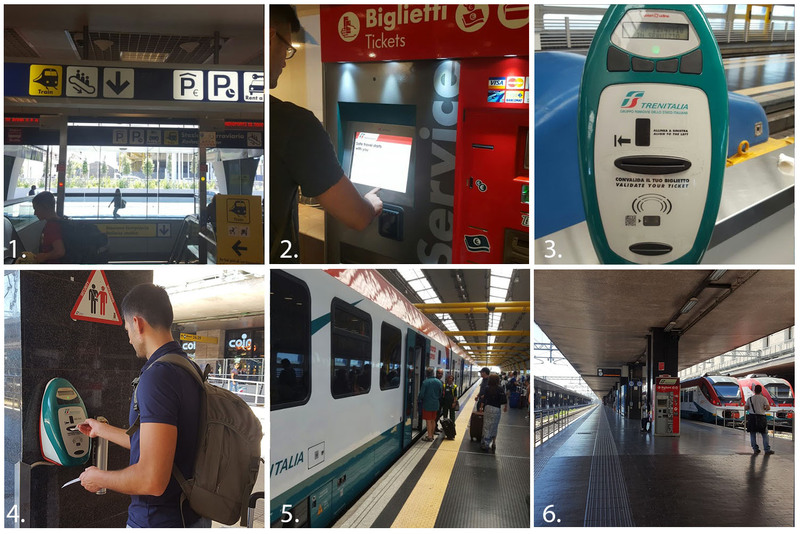 HOW TO GET FROM ROME FIUMICINO AIRPORT TO ROME? We looked at various options (Taxi, Uber, etc) and the fastest and cheapest way is to take the Leonardo Express train. You will be in the center of Rome in 30 min. We have made the task easy for you in these 6 simple steps. 1. Upon exiting from the airport arrival lounge, follow the markers towards the yellow “train” sign. 2. Take the escalator to the train station and find the RED ticket machine. (Don’t buy the ticket at the first machine you see because there will be lineups, just proceed towards the train station and buy the ticket there). 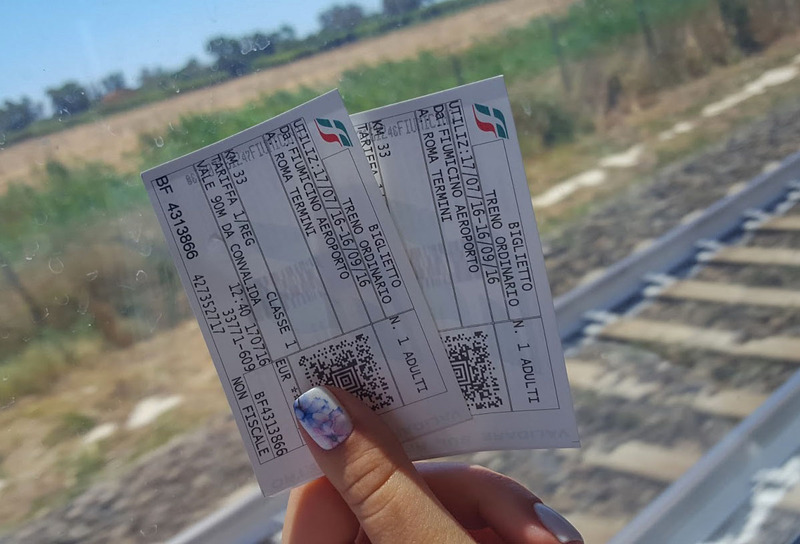 Enter your language of choice and buy the ticket to ROMA TERMINI. You can pay with cash or credit card. 3. Upon receiving your ticket, take it to the green validation machine. 4. Insert your ticket and wait for it to stamped. 5. Enter the correct train, stow your luggage, sit back and enjoy a 30 min ride to the heart of the city. 6. Failure to validate the ticket WILL result in a 100 euro fine. The ticket will be reinspected by a conductor during the ride. 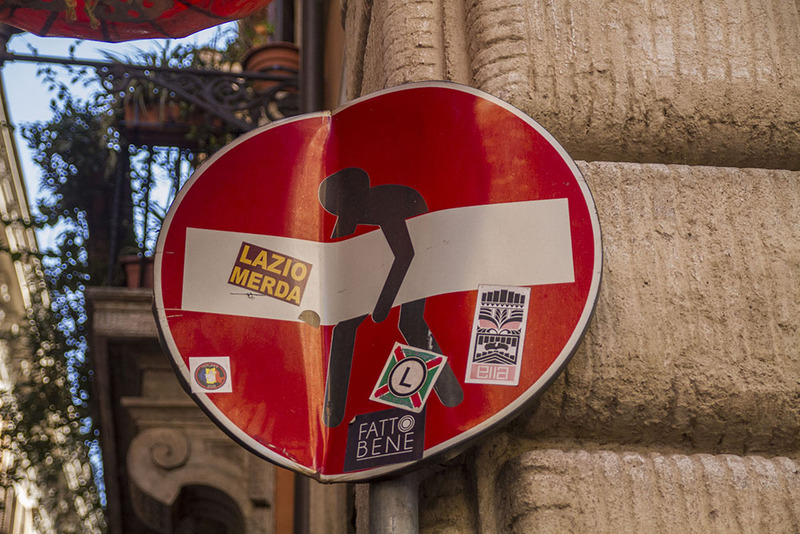 WHEN YOU FINALLY GET TO ROME…. Long considered the center of civilization, Rome is resilient survivor through trials of the past 2500 years. 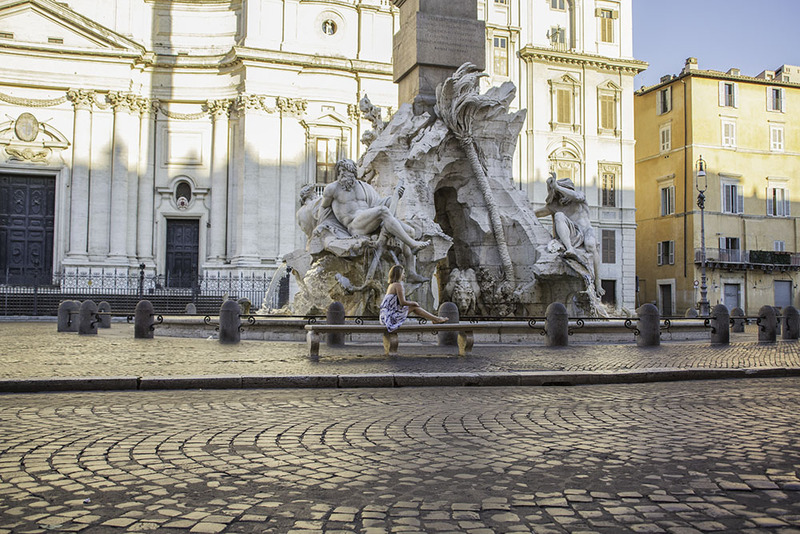 To visit Rome is to take a plunge into thousands of years of history. Every building, every street and plaza has a story. To avoid overpaying for restaurants, find spots away from popular tourist hangouts and check out the cafes in winding alleyways. 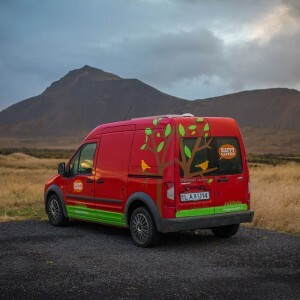 The service is far better and the food is much tastier. Try pizza, pasta, gelato and you will never be the same again! Our absolutely favorite was Raspberry and Sage Gelato at Gelateria del Teatro. 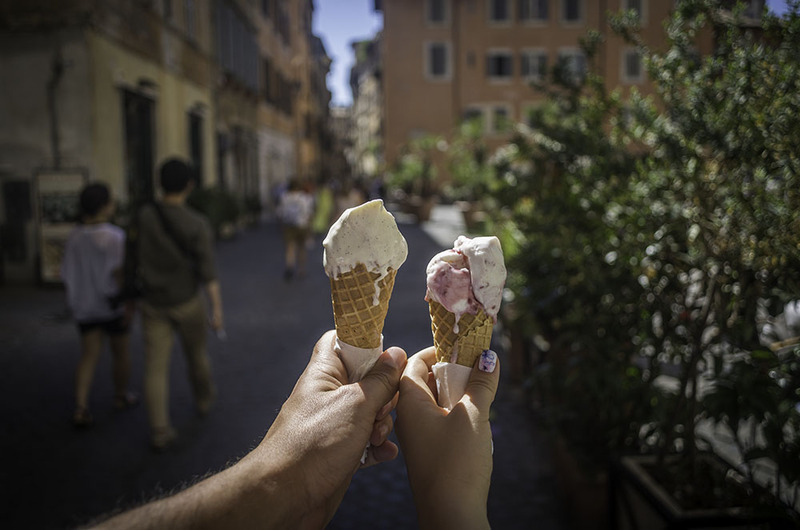 A cozy little shop with around 30 different flavors of gelato or you can do what we did and enjoy fresh pizza at La Pizza del Teatro and after treat yourself with an amazing, refreshing dessert. 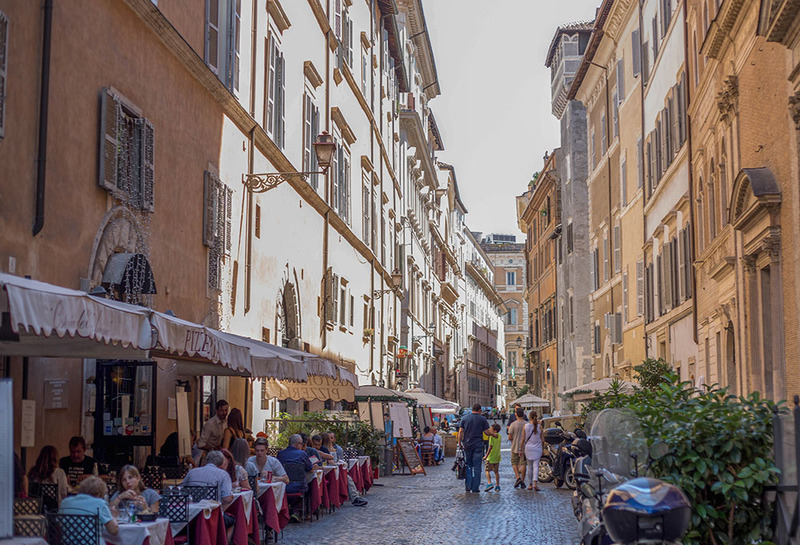 The heat is relentless in July, and we highly recommend cutting across through small streets to save time, stay in shade and see the quieter side of Rome. If you are worried about crime or pickpockets, we found that there was more of them in crowded touristy spots. 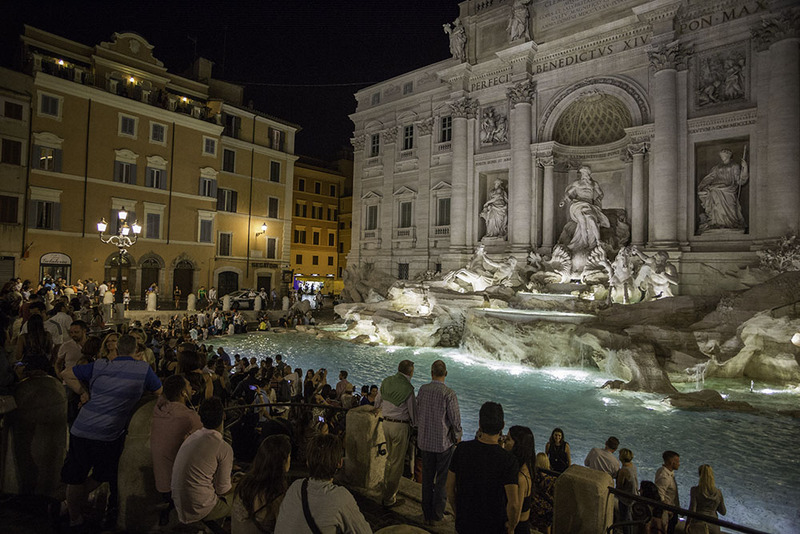 If you think that it is better to wait until the dust to visit Trevi, prepare to be disappointed once again as the above photo was taken at 1am. Same deal, hordes of people and annoying vendors. Be aware of your surroundings as pickpockets are known to frequent the fountain for easy catch. 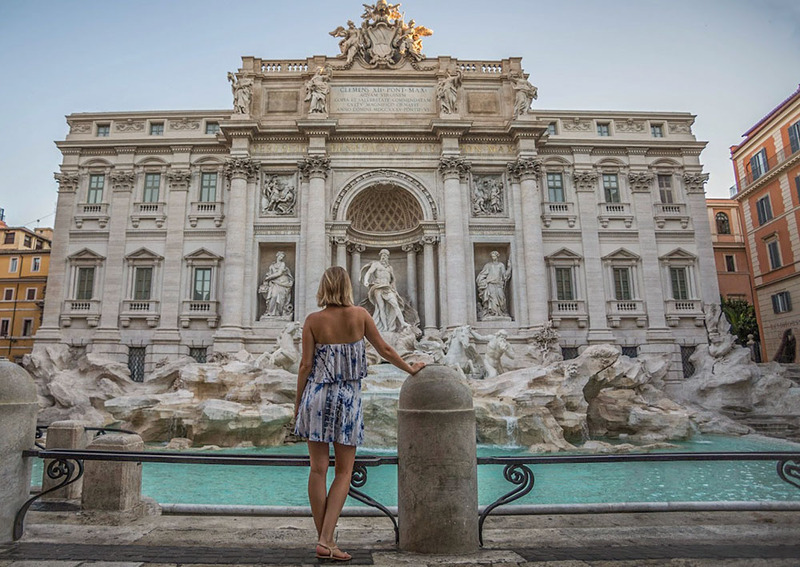 You want to see Trevi Fountain? The only time you will be able to truly acknowledge its grandeur is if you get up at 5am. Only then the grounds are devoid of human traffic. You will see the full grandeur of this masterpiece. You are on vacation, why would you sleep anyway? Piazza Navona at 3pm. Built on the site of the Stadium of Domitian, in 1st century AD. 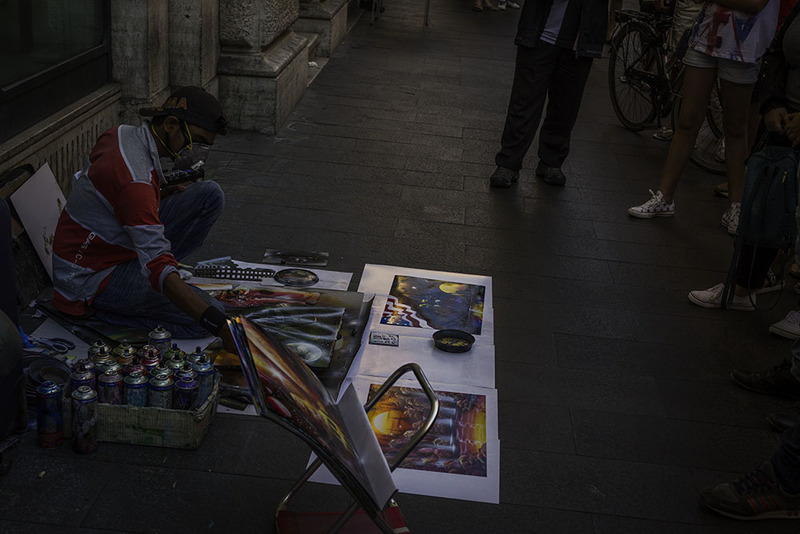 Not very talented caricature painters,selfie totting tourists and vendors congregate here all day long. This is what happens at every Piazza in Rome. 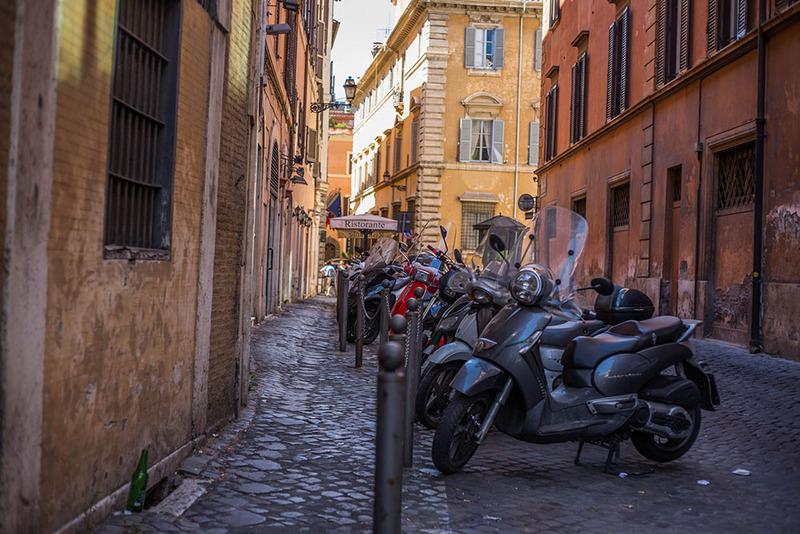 Rome can be seen without the crowds and stress. Just wake up early and go out to explore! 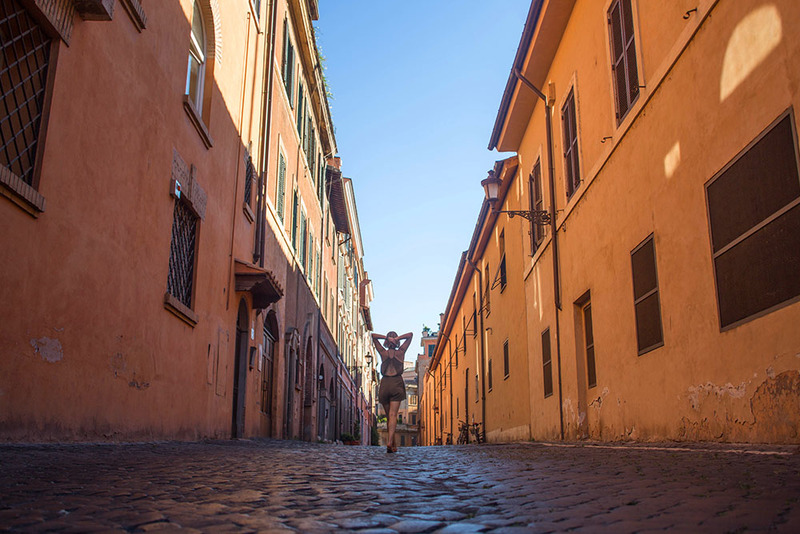 You wouldn’t believe how many people were surprised when we told them that we actually here enjoyed and loved Rome. We find that travelers are so overwhelmed with busy streets and crowds that they miss the real beauty of Italy. Or in our case, just forget about sleep. 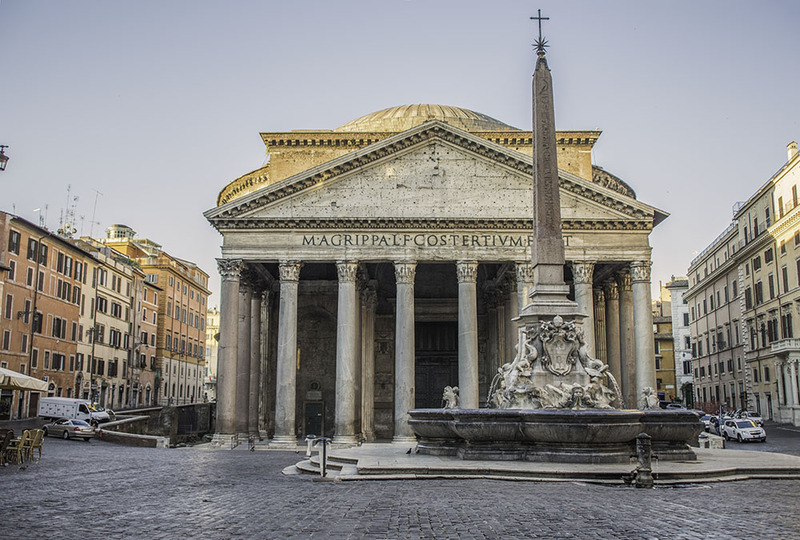 My favorite building of ancient Rome, the Pantheon. Built by Hadrian, the building’s name means (Pan -every, Theon – divinity), thus a place of worship of every religion and faith. The reason it is still standing? Catholics have made it into a church, thus sparing it from dismantling. Watching the sun rays creep up on massive columns is an unforgettable experience. 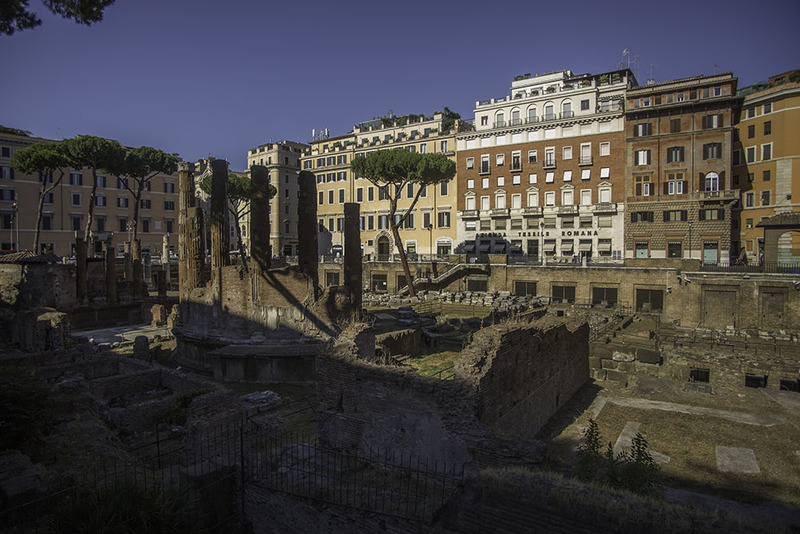 Often overlooked by people passing by on their way to the Forum and Colosseum, Torre Argentina is the place where Ceasar was murdered by Brutus. The area is off limits but can be observed from up top. It has become a sanctuary for homeless cats and they are everywhere. There is a belief that cats are attracted to negative energy and with the history behind it, they feel right at home here. During the day Forum is jam packed with tourists wandering alone or in massive tour groups. 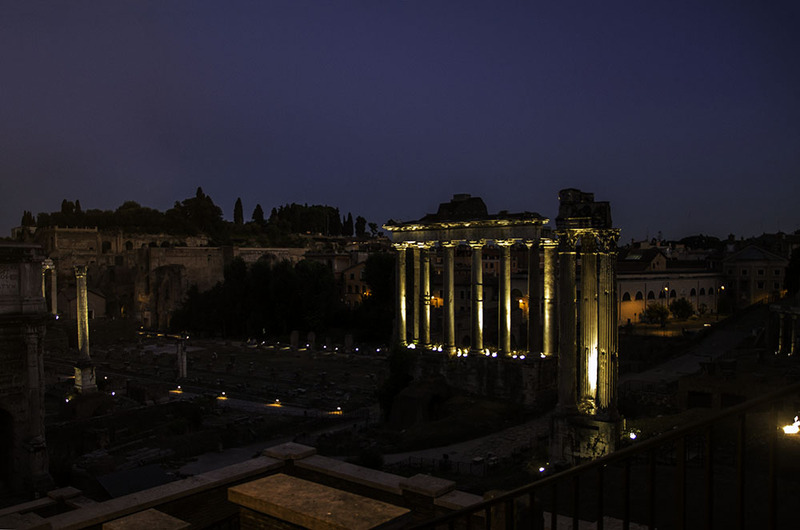 The sheer size of columns and other ruins paint a picture of grandeur in Ancient Rome. We highly recommend visiting this area in the night. When dusk descends, it feels like a blanket is lifted, revealing the mysteries of times past. The illumination and shades paint a very surreal atmosphere. From the time Colosseum opens to the public, it is packed with 3000 tourists. The line up for entrance stretches around the block. You will be crammed with people inside and will not even have a chance to see the third tier, underground tunnels or stand on the arena. 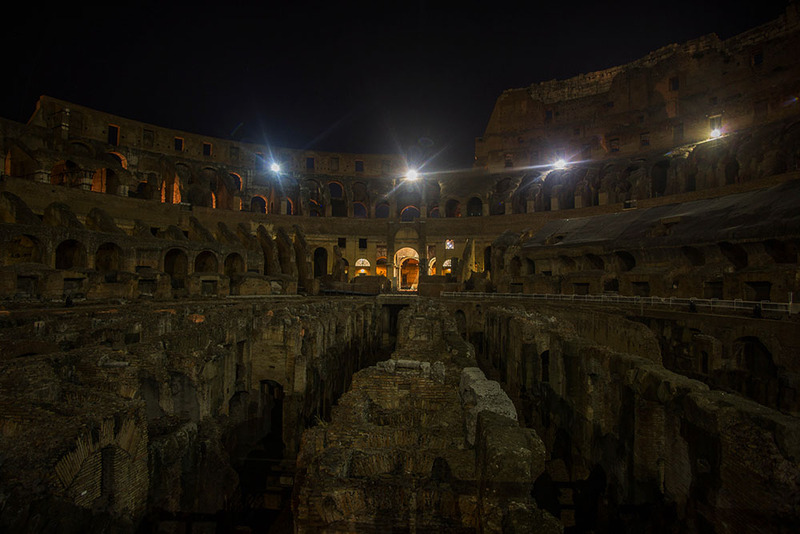 We highly recommend visiting Colosseum at night when they only let 20-50 people. It took 325 years for Romans to satisfy their hunger of violence and the walls of the mighty Colosseum hold a lot of dark secrets. 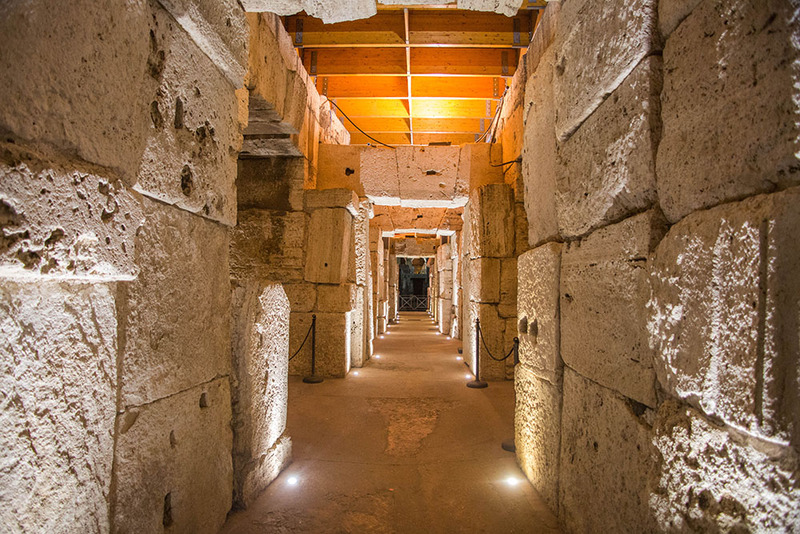 Many parts of the underground tunnels are still unexplored but the areas that are now open, display the genius of Roman engineers. No cement was used to support the massive blocks of stone that are suspended above everyone’s head. 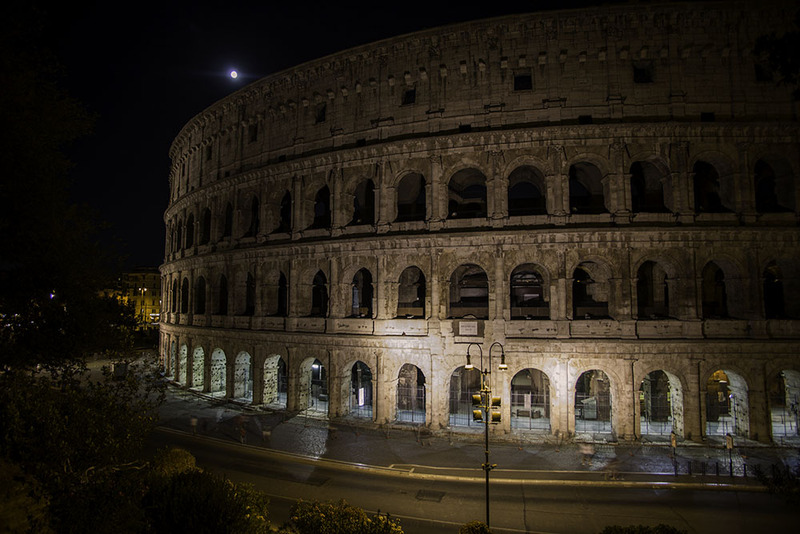 If you are interested in exploring Colosseum at night, without any interference, let us know and we can hook you up! Wonder, why Vatican is not on our list? That’s because Vatican is a whole separate country and post. 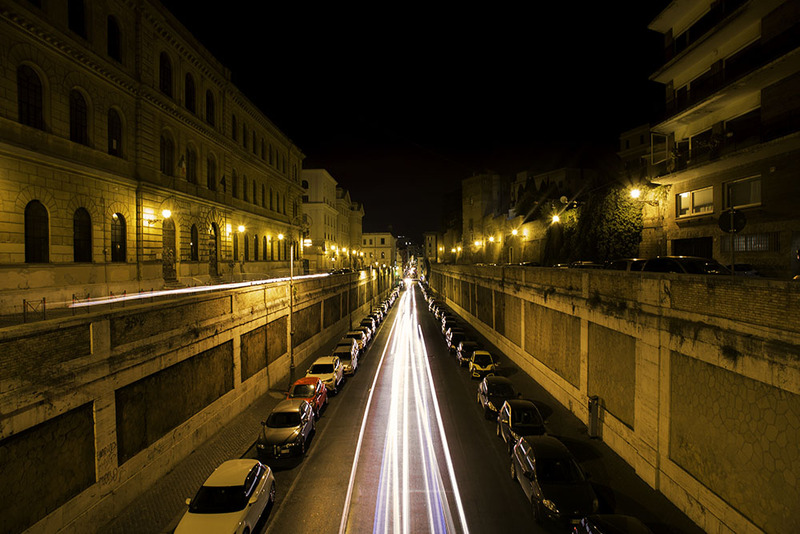 Rome is magical at night. We truly witnessed it as the city transforms from a bustling metropolis of thousands tourists and cars to an enchanting city full of lights and empty streets. Music caresses the senses as you wander through the alleys. 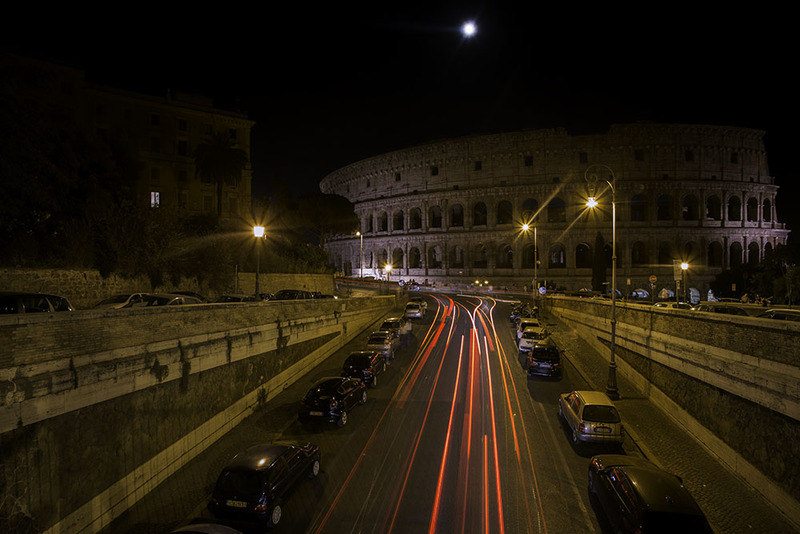 We found Rome to be quite safe at night and if you are aware and vigilant, you should be just fine soaking the sights and sounds of the night Rome. Lots of talented street musicians and artists. 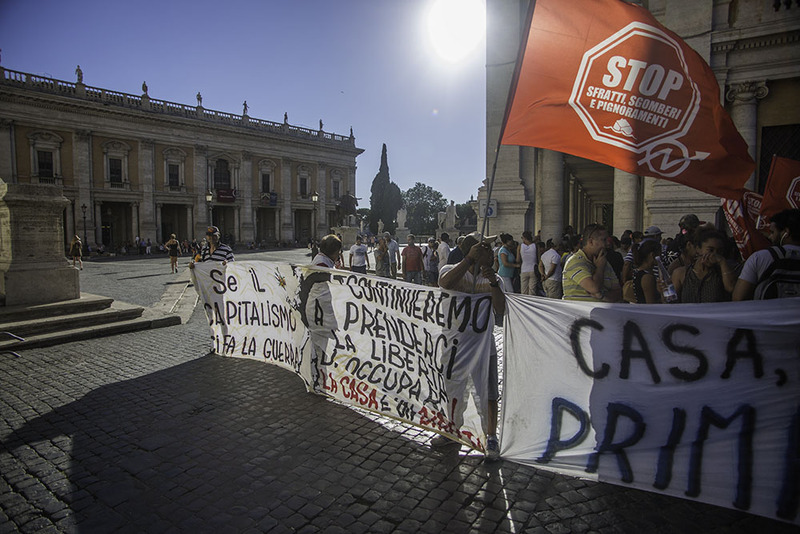 Apart from the cultural dose of ruins, statues and historical buildings, Rome is used as a staging ground for demonstrations. We walked in one and while it was relatively peaceful, my advice to you is to steer clear of these events. 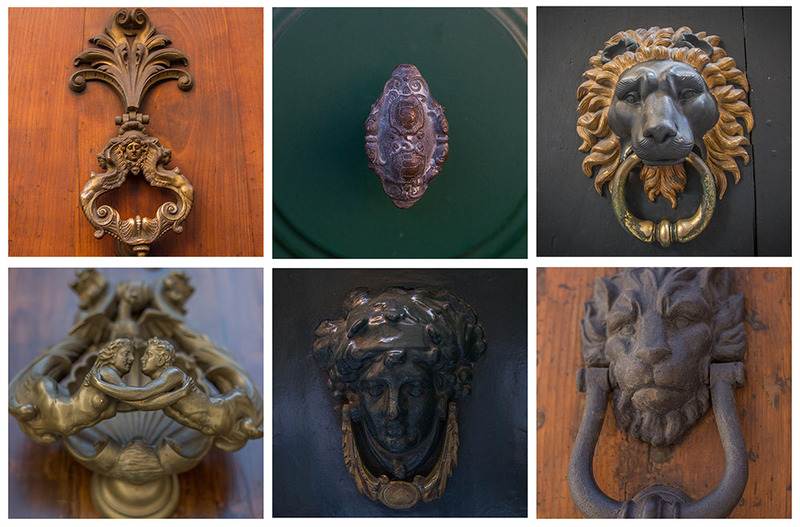 Rome is home to over 150 museums which house untold quantities of world’s relics. 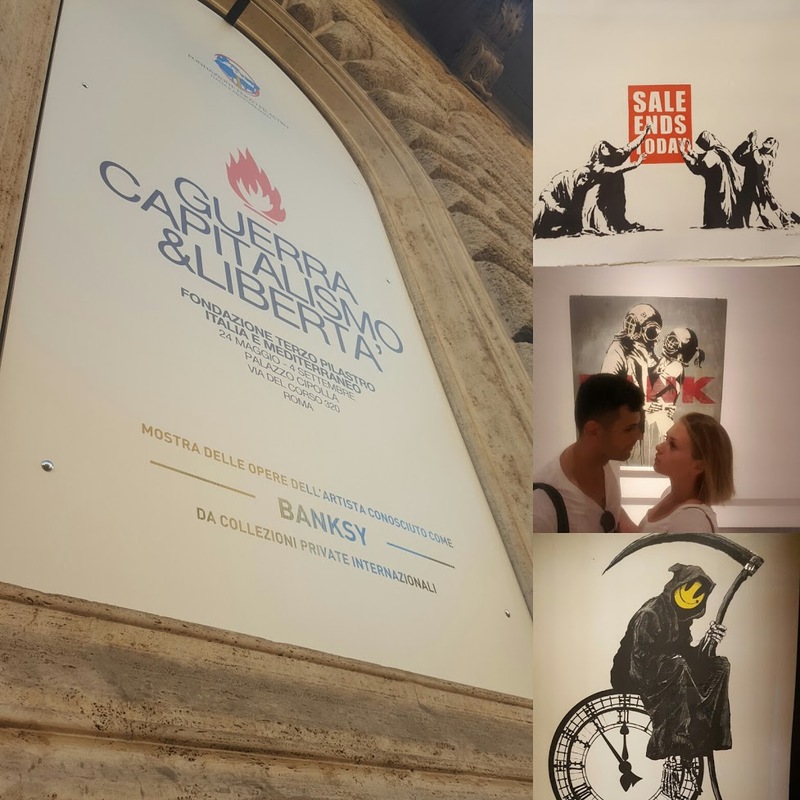 We found out that Banksy’s art was displayed in a gallery for the very first time and being huge fans of his work, we absolutely had to go! 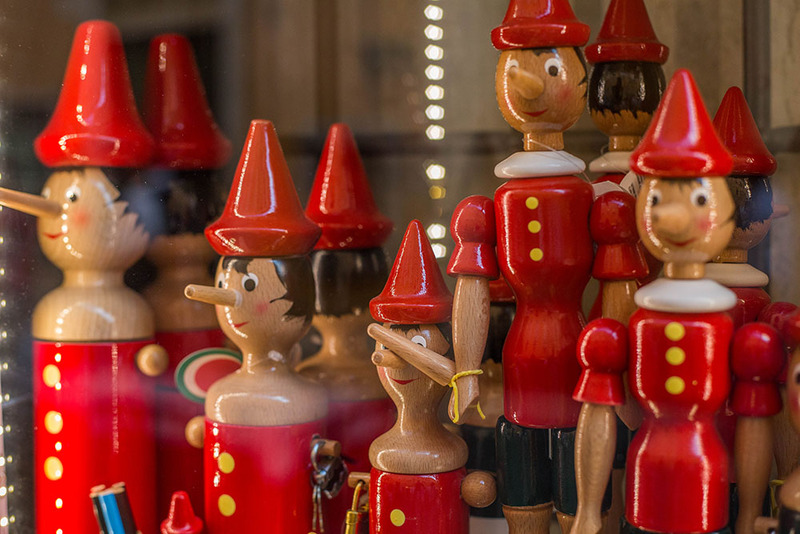 Italy is the birthplace of Pinocchio and there are shops that are make these little toys. They sure make a nice gift. 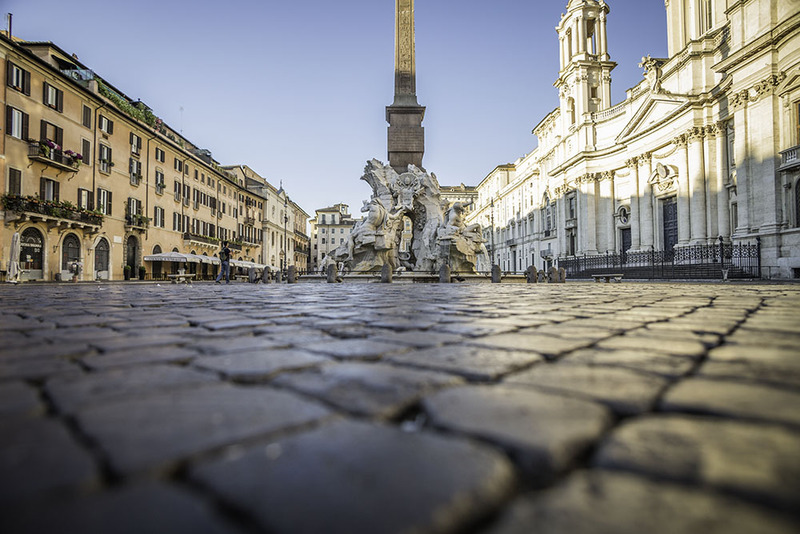 Check out Via del Corso – it is a very bustling street with tons of shopping stores. You want to buy clothes? 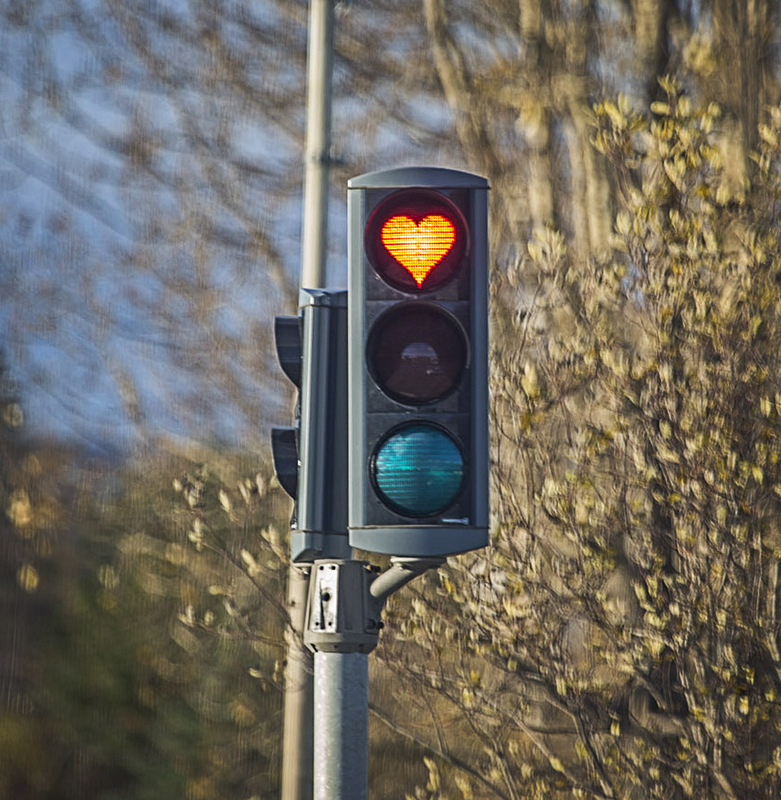 This street is for you. When you take your other half to a trip to Rome, I am sure your are a bit nervous about extra spending on shopping. To be honest, I was nervous too. My fears were unfounded as i discovered that Elena’s obsession turned out to be door knocks. The funny thing is that she does not want one on our door, she just likes to discover and take photos of them. Rome’s beauty does not extend to the buildings facades only. These door knocks is just one example of Romans artistic creativity. We have not come across two of the same. Coming from North America, Europeans cars are something else. 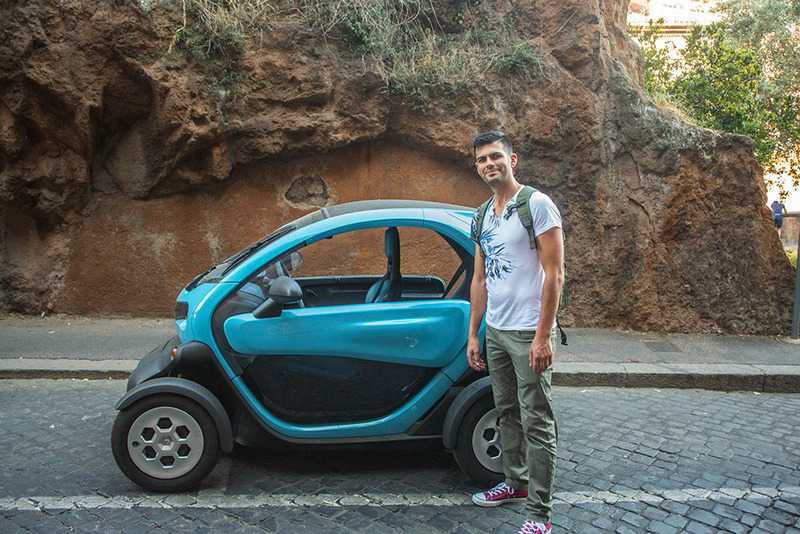 At 6’1, I am not sure this mode of transportation would be comfortable. 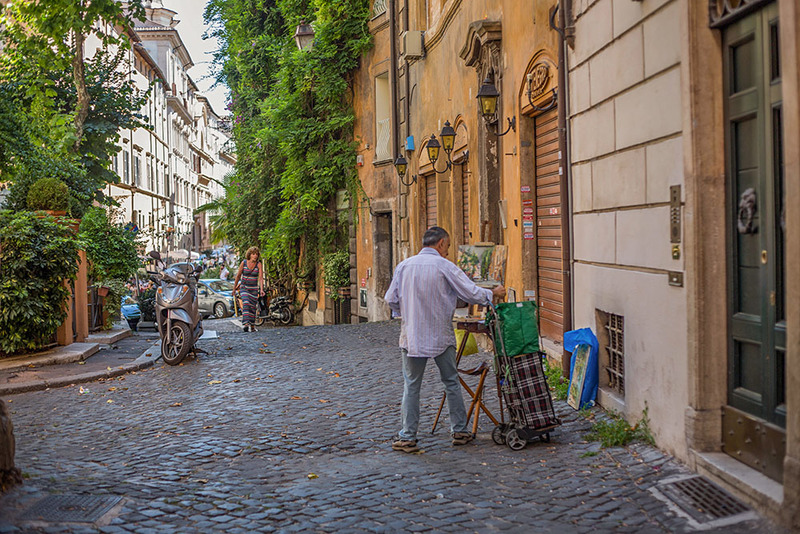 What is amazing about Rome, is that this is a city with identity, creativity and individuality. It is a photographers dream. You seriously will be snapping pics left and right non stop all day long. 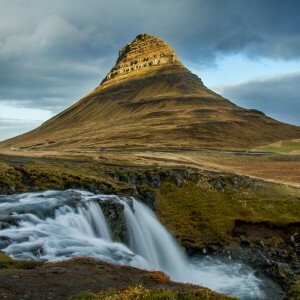 This is a magical city full of wonders and will definitely leave you with the wanton to come back again and again. 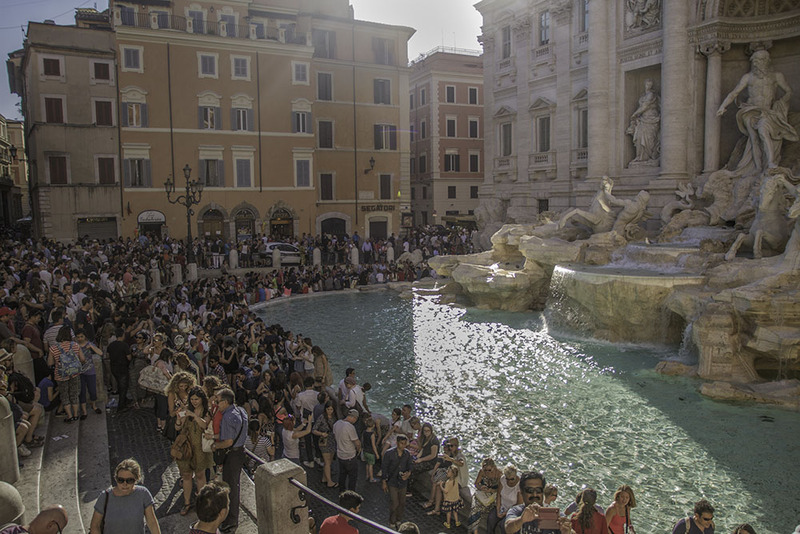 No wonder Trevi fountain is so popular. Thank you so much for your wonderful instructions. I loved all of your photos.